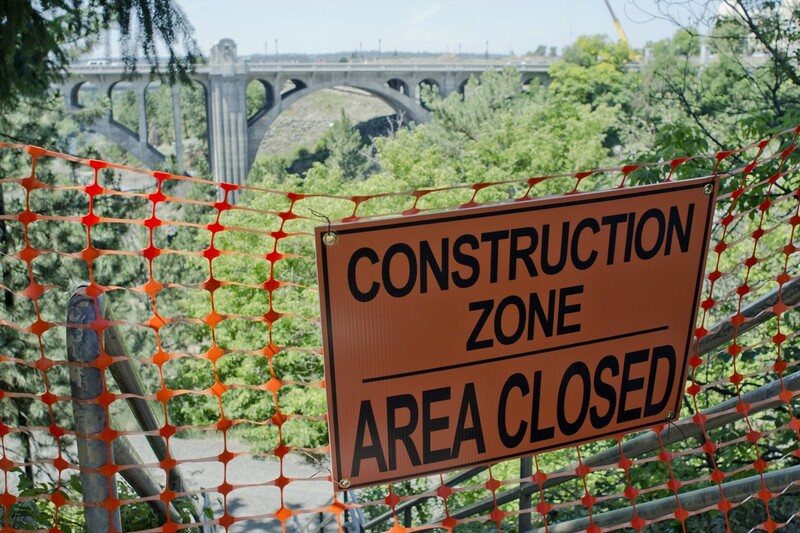 The viewing area of the Spokane River falls adjacent to Riverfront Park is closed, as of today, for a big makeover scheduled to be done next April. 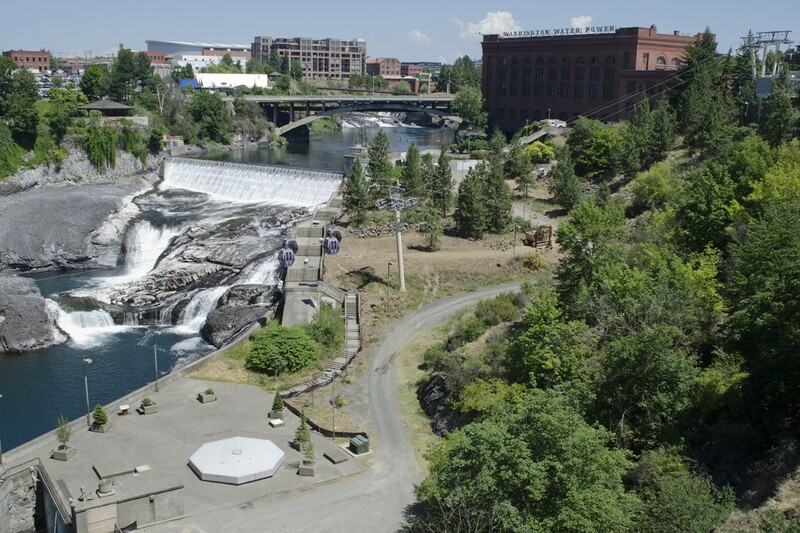 Until construction started today, the concrete steps and gravel walkway winding down behind the old Washington Water Power building were accessible from Spokane Falls Boulevard near the library or across from the west end of Riverfront Park. Most people probably think of it as an overlook or a stairway rather than a a full park, but the 3.8-acre piece of land is named Huntington Park and owned by Avista. Avista’s renovation plans include ditching the charmingly rugged concrete-and-gravel aesthetic for new stairs, ramps, lighting and seating. There will also be “interpretive displays” with a artifacts like an old power turbine, plus a new public plaza replacing the parking lot next to City Hall. The latest plan shows a lot of new grass and landscaping. 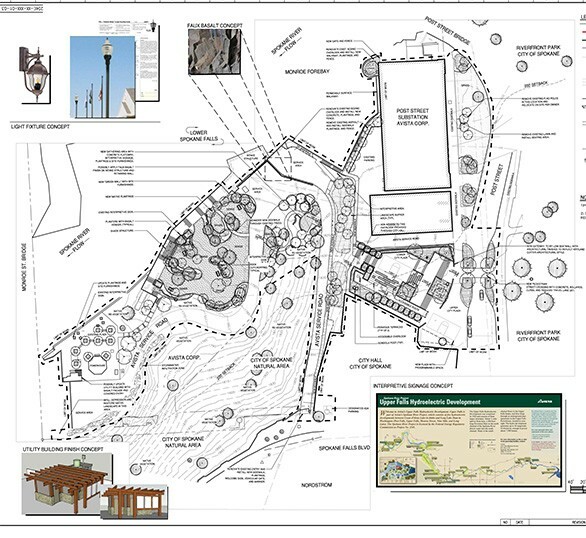 “Our goal is to make the park more inviting and easier to access, as well as to tie it in with Riverfront Park, as the city moves forward with its master planning process,” says Scott Morris, Avista chairman, president and CEO, in a press release. The project officially started today, and the pathways are closed off with construction zone signs. The north side overlook isn’t part of the project, so it should remain open. See the whole plan here.